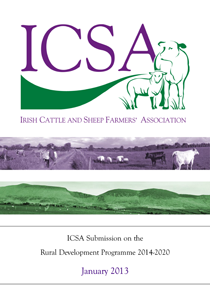 ICSA has made a submission in January 2013 to the Department of Agriculture, Fisheries and Food in response to the 2014 – 2020 Rural Development Programme consultation call. Following ongoing discussions, a number of revisions were made, leading to an updated submission being put forward in July 2013. In the context of the ongoing respective EU budget and CAP reform negotiations, ICSA argues that a Rural Development Programme needs funding of up to €700m per annum in order to make a real impact in terms of meeting the six key objectives set out by the EU Commission in its CAP reform proposals. 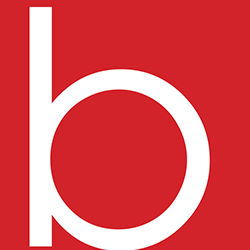 A more streamlined and integrated approach is taken to Rural Development funding applications and monitoring to reduce the duplication of labour and lessen the administrative burden on both the Department and applicants. That top-up payments of maximum €1,000 per scheme be paid on specific Rural Development schemes (Agri-environment, Suckler and Disadvantaged Area) to farms classed as ‘Low Income Holdings’. That a new suckler scheme be set up within the framework of the Rural Development Programme, requiring farmers to supply breeding info to ICBF, together with selected additional information. That the Department fund a new expanded farm investment scheme targeting practical innovation aimed at making farm systems more competitive. That the sheep grassland scheme should be part of the RD programme. That young farmers receive 25% extra on Agri-environment, Disadvantaged Area or Suckler Scheme payments provided they also fulfil the Low Income Holding criteria limits. That there should be continuing support for developing the organic sector in Ireland through a separate Organic Support Scheme. That the Department develop and implement a new agri-environment scheme that is more comprehensive and ambitious than AEOS; any new scheme should be developed in consultation with farmers. That farm forestry planting continues to be supported with planting aid and farm forestry premia. That more cooperation between Local Action Groups and farmers form a key element of any new LEADER schemes, with a review of how to ensure that LEADER supports farming.